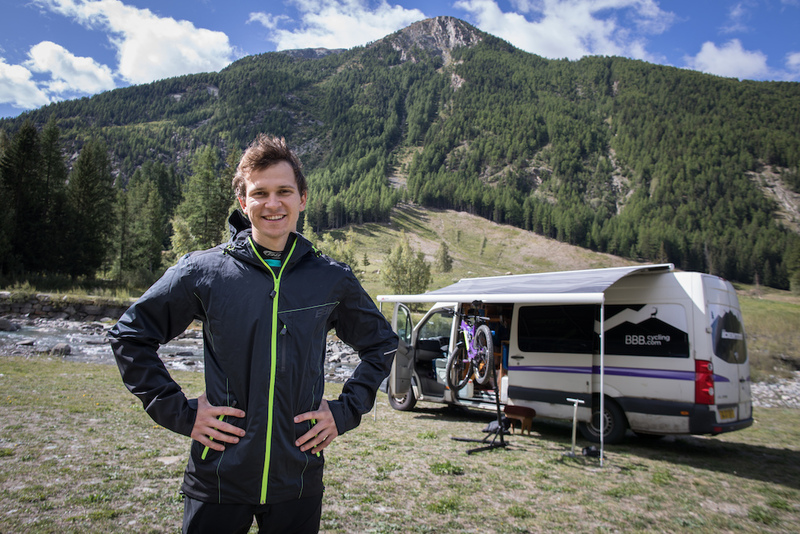 James Shirley - Professional Mountain Biker, Traveler and EWS Racer. I'm James Shirley, 29, from Fort William in the Scottish Highlands. I grew up on the family croft (a little farm) with beef cattle, dairy goats and numerous pet cats. For the last few years, I’ve mostly just been riding bikes. I sometimes do a bit of guiding/coaching for extra pocket money and I do a bit of trail building too. Surprisingly this ‘pro athlete’ thing is actually quite time-consuming. A lot of energy is spent fixing bikes, testing kit, fixing my van, writing emails, communicating with sponsors, organising and partaking in media activities, travelling, recovering, racing, training on the road bike, picking up heavy things in the gym and most importantly of all – actually riding mountain bikes. 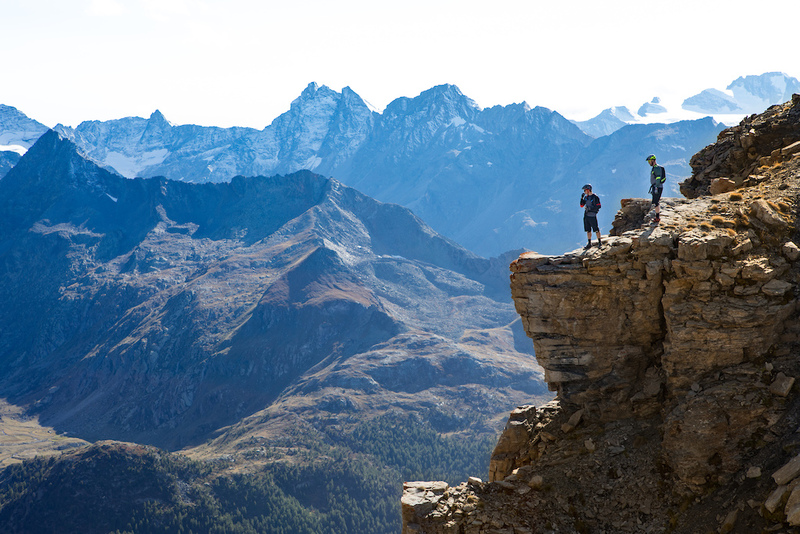 As a full-time rider, I make the most of my freedom to explore some of the best riding spots on the planet. 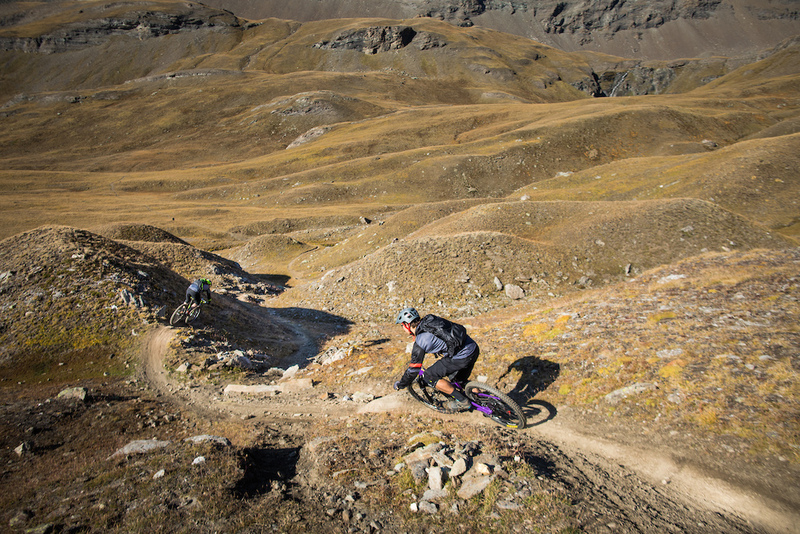 Enduro riders need a big mix of qualities including a hefty amount of endurance to survive those big days out in the mountains. In a sense, I guess I was quite lucky with the timing of the EWS and the start of my racing career. I have a first class Masters in Mechanical Engineering and during my five-year sentence, I used to race as much as I could. 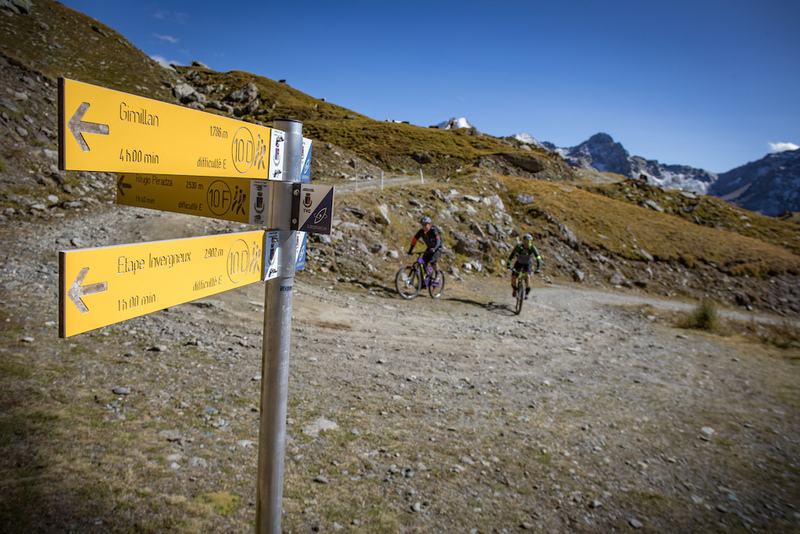 I would always make a trip to the Alps in the summer to compete at the Megavalanche and do a couple of other endurance style events. After I graduated I decided to take a year out. It was then announced that the following season would be the beginning of the Enduro World Series so I thought I’d enter them all and give it my best shot. 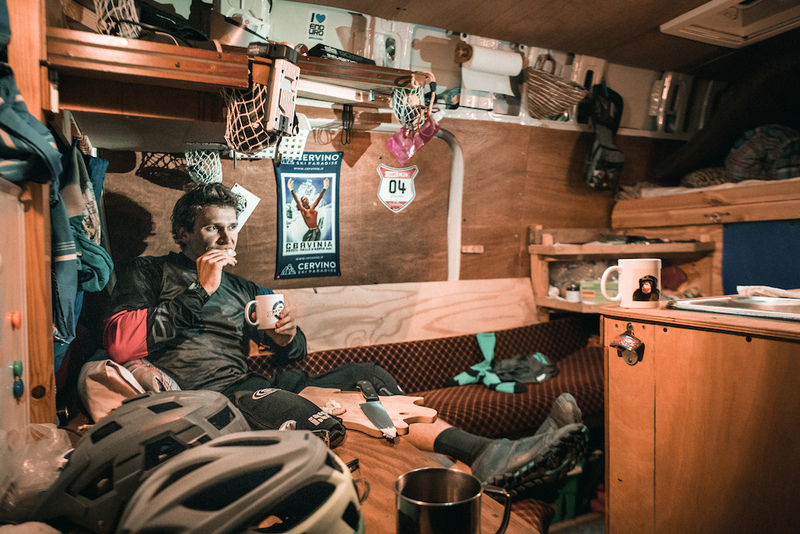 Despite racing on a shoestring budget and doing multiple jobs including a two-week trail building stint in China I still, obviously and inevitably, ran out of money. However, I trained hard, worked hard and managed to scrape together a couple of decent results which secured me a paid sponsorship deal for the following season to race enduro at the German, European and World series. The next few years were then pretty hectic with multiple races in different countries every weekend of the season. In that time, I finished 3rd in the European Enduro Series and 4th in the European Enduro Championships. Last year I tried to do a little less and focus more specifically on the EWS. By giving myself more freedom to think and train I feel like I’ve improved much more as a rider and it’s a lot less stressful now that I’m not running around all over the place like a headless chicken! I'm a privateer racer which basically means I organise my own sponsors. In a way, it gives me a lot of freedom to do what I want which is really nice because I like to be in control of the situation and make my own decisions. It also provides a bit more security since team riders can be signed and dropped at the click of a finger whereas I have managed to build relationships with different individual companies - the main ones are BBB Cycling and Identiti Bikes. I enjoy working with my sponsor brands and I’m proud to represent their products so I find my situation as a privateer to be very rewarding. As a privateer, it sometimes feels like an upward struggle trying to compete against the team outfits. The main difference is money and the big teams have big budgets behind them. The amounts that some companies spend can be a little sickening with expensive travel plans, fancy accommodation, amazing pit set-ups, full-time mechanics, chefs, masseurs, unlimited spares, private shuttle cars, drivers etc. But, competition will always push the limits of what is possible whether that is physically, technically, logistically, ethically or financially. When it comes down to racing then every millisecond counts and all those little extras do add up to make a difference. Team Sky in road racing are world famous for their ‘marginal gains’ philosophy and they happen to be the best team with the biggest budget (it seems like they also had a few sneaky tricks up their sleeves!). 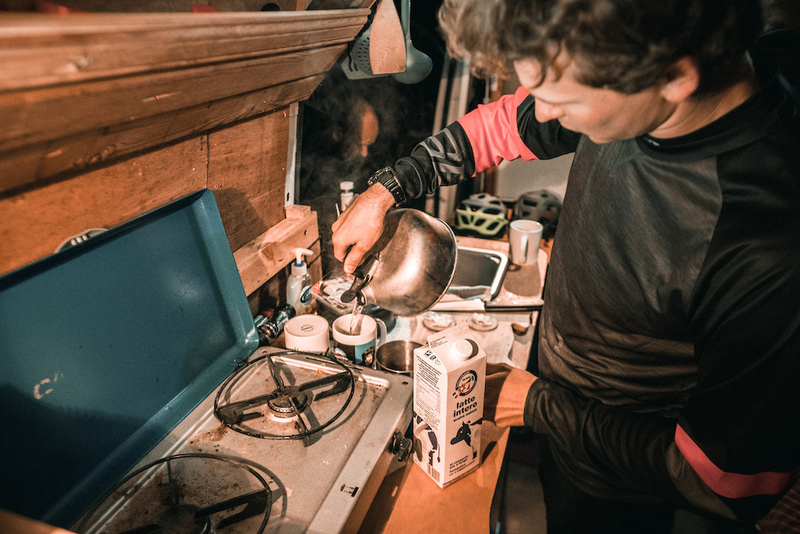 Any aspect that helps to reduce stress and allow the rider more time to rest, recover and focus on the task in hand is crucial to maximising performance. The very top riders deserve to have the best support anyway but unfortunately for anyone outside of that team atmosphere it only widens the gap up even further. As a privateer, I’m essentially on my own. Without help on hand, I have to be very well organised and prepared to create the best environment for myself. I don’t mind it though. 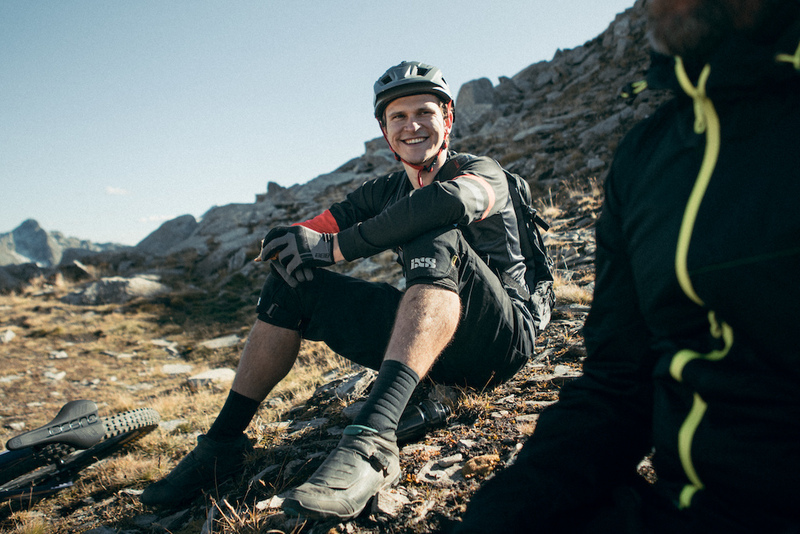 I’m happy doing what I do – competing against the top riders and getting to travel the world at the same time – as long I continue to make progress then that keeps me satisfied. If I could raise enough funds then I would organise my own support crew and I’d aim to set up my own team with additional riders in the same way that the big non-factory teams operate. 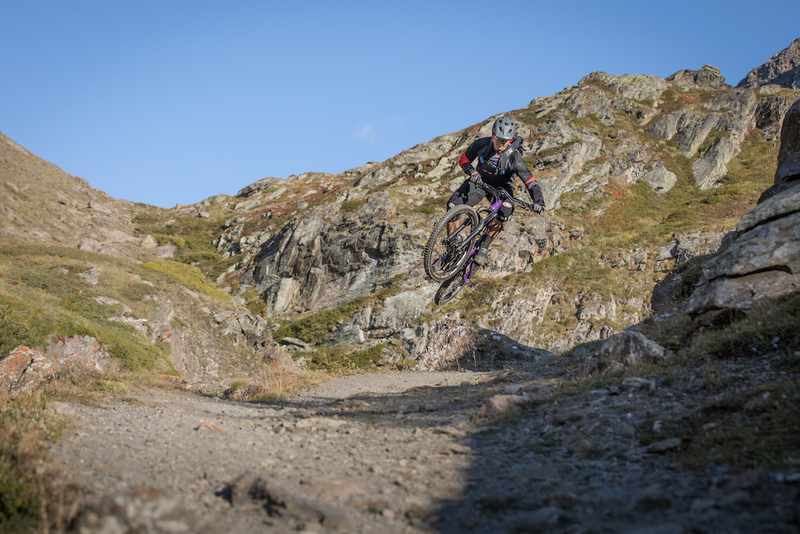 Last year I entered the full EWS series and for 2018 I’ve entered all except for Whistler because it clashes with some of my other racing/sponsor commitments. I feel like I’ve spent a lot of time there in the last few years anyway so I don’t mind missing it too much. 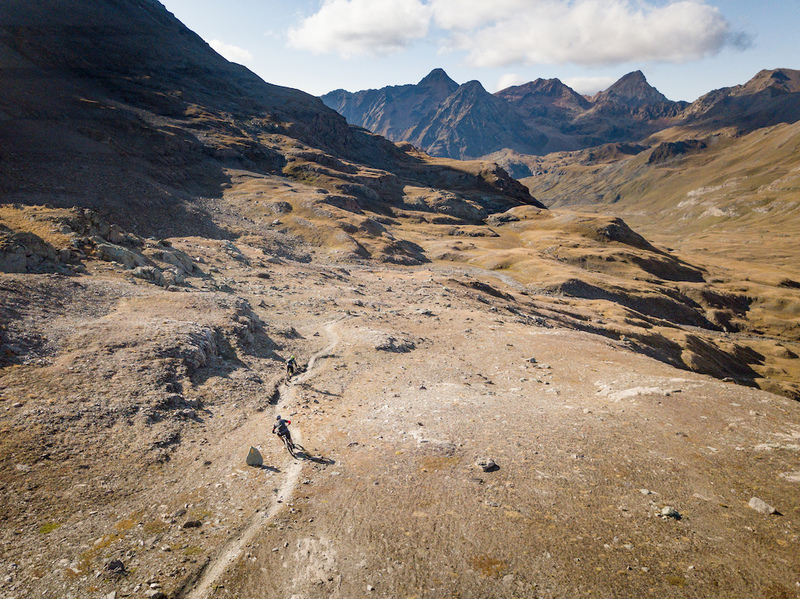 I’m also a lot more excited to travel when I get to go to new destinations which is another reason why Enduro is such an attractive discipline. 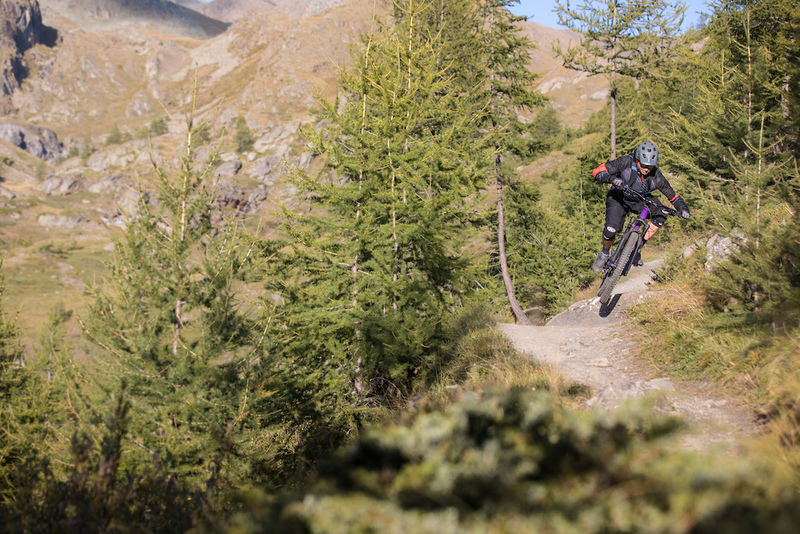 With the exception of Whistler and Finale Ligure (2018 is actually its last consecutive year), we have a big variety of venues which change from year to year. No one season is the same. Riding till sunset with good food and good chat. The recipe for a perfect day! Being in the van is the only way I can afford to do what I do. 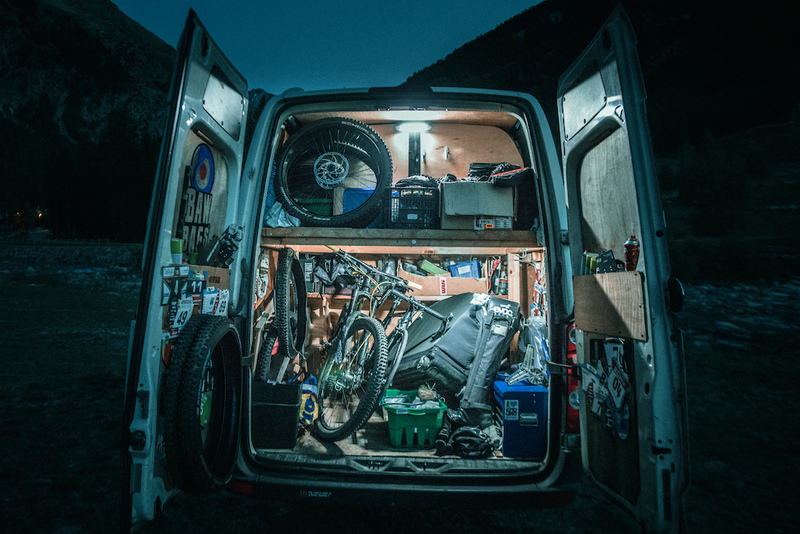 Van living is certainly much cheaper than paying rent for a house! I still have some of my stuff at my brother’s place and in our parents’ house but nearly everything I own comes with me wherever I go. With no ties to keep me in one particular place, I can therefore just travel from race to race instead of rushing back home all of the time. It saves a lot of travelling as well as expensive accommodation costs. It’s a pretty simple life and it makes me realise how few things I actually need. When I do have to fly to a different continent then I just park the van up, jump on a plane and hope it’s still there when I get back! The Van - It looks a bit homemade but... that's because it is! As for the conversion, I did all of the work myself. It looks a little homemade but it has a lot of character. When I first started I couldn’t afford much. I just did what I could but it all works really well and it genuinely puts a smile on my face every time I step inside. If I did it again then I’d make some minor changes and it would definitely take a lot less time that's for sure! I spent probably half of the time just sitting inside, looking at things, measuring things and thinking how best to do each part. It’s pretty close to being a proper campervan inside. It’s got water, a sink, tap, folding table, drawers, shelves, shoe-rack, bench/sofa bed, pull out double bed, electric blanket, phone chargers, sun-roof, fridge, heater, cooker, power inverter, solar panels, leisure battery, lights, awning and a few other bits and pieces. The main thing that makes it specific to bike life is the size of the garage. It can fit six complete bikes and all my spares and tools. I even take my town e-bike that has its own basket on the front which is perfect for going to sign-on, nipping out to the shops or even riding back up the hill to collect the van after a shuttle run! The garage - Enough space for 6 bikes, tools and spares. Great Article and awesome Photos. What a dedication! 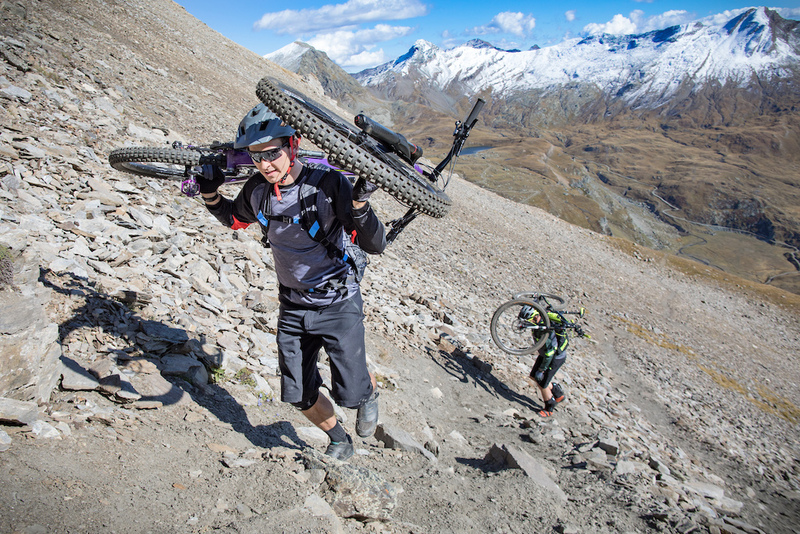 Participating EWS in a professional Team is one Thing, but participating as a privateer is a different Story! No beard, flannel, skinny jeans, or craft beer? Are you sure he lives in the van? The fella is obviously a genuine human being! Hahaha! Top comment so far!! Thanks to everyone else for their kind words. Dude is living the dream. Respect. @Jamesy-Boy : Could you make us a tour of your homemade van ? How you organized it and built it ? Not for living out of, but just for weekend trips. It would be pretty sweet. Hey @Whipperman! Yeah, maybe... I've been thinking of doing a 'how to' story so let's wait and see. Cheers! This is a life I want to live one day. Not for race results, or sponsorships. But for the love of the ride. Just bought a home in Florida. Plan to rent it out during Riding season and just drive wherever I can to race and ride. Inspiring. 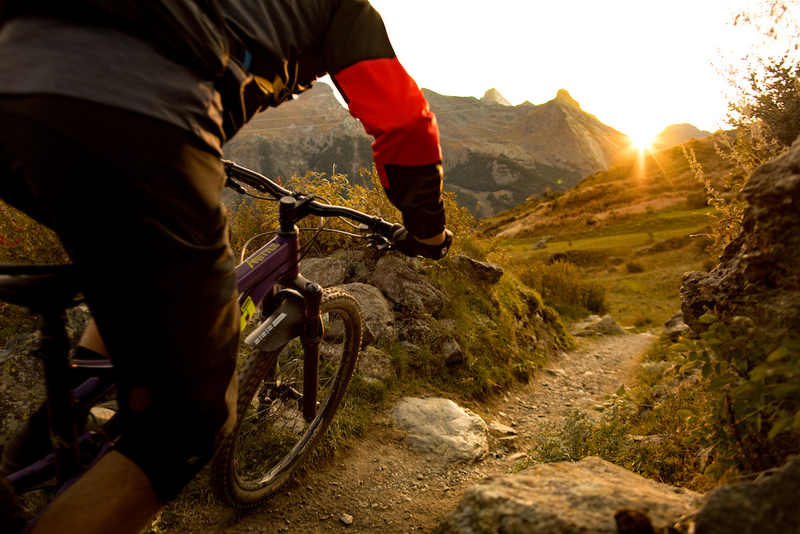 Your dedication to riding and achieving top results is inspiring. Keep up the hard work and good things will come your way! It says in the article that he likes running his own deal because he likes to be in control of the situation. Is this a negative comment to potential factory teams that may sign someone in the future ? Am betting the only place he had to wear his helmet inside the van was the UK! Whenever I see stories like this I always think to myself, "but what about girls?" 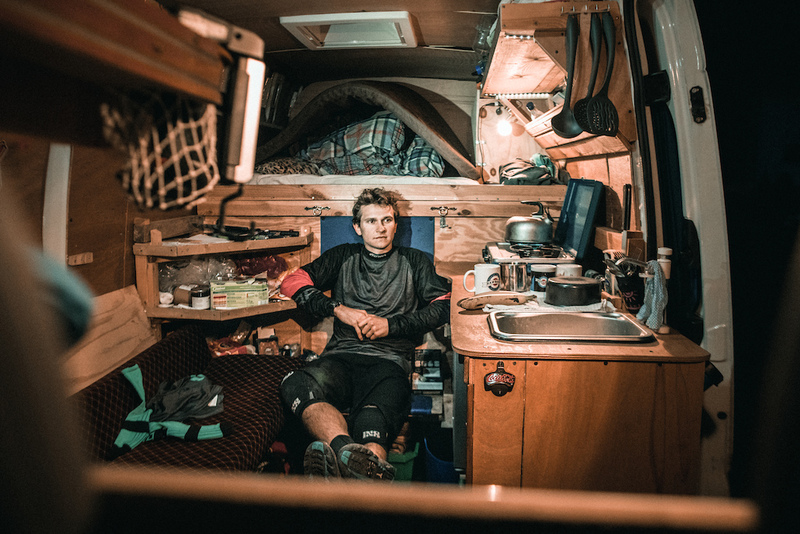 It's just crazy dedication to live out of a van to mtb for a living. This article has so much character. Heck yeah I'm rooting for James! Whoop!! I have that wall mounted bottle opener in my home made camper van! Great article. Best of luck James!